How much is Ron Fowler Worth? Ron Fowler net worth: Ron Fowler is an American businessman who has a net worth of $500 million. Ron Fowler is best known as the executive chairman of the ownership group of the Major League Baseball team the San Diego Padres. He is also the CEO of Liquid Investments Incorporated which is a beer distributorship. 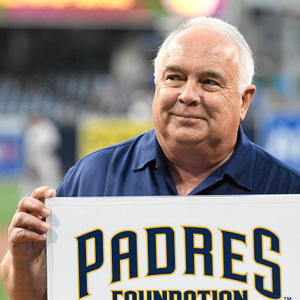 Fowler served as the general partner of the minority group that attempted to buy the Padres in 2012 and he was on the Padres executive committee. He joined another group who bought the Padres for $800 million in 2012. Fowler was the groups' executive chairman. Liquid Investments is the investment group that distributes Coors, Miller, Heineken, and more and has annual sales of more than $220 million. Ron Fowler has also owned the indoor soccer team the San Diego Sockers. He served as the chairman for the host committee of Super Bowl XXXVII. He has made large contributions with his wife to her alma mater San Diego State University.